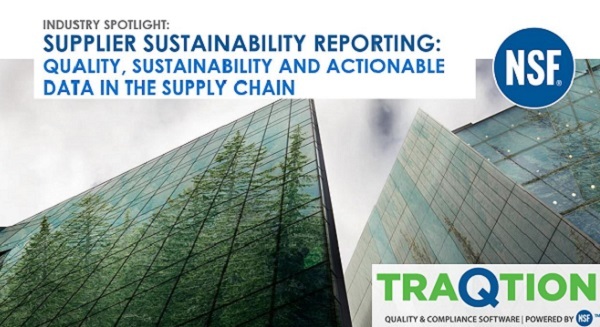 Watch this 45-minute webinar showcasing NSF's sustainability reporting services powered by TraQtion's cloud sustainable sourcing solution. I would like to receive email from NSF. TraQtion named to Food Logistics’ exclusive list of software providers for food industry for second consecutive year. Learn how restaurants and retailers track sustainable sourcing performance against CSR targets. NSF’s sustainability experts help at every stage of the reporting process, whether clients are planning to disclose for the first time or want to enhance and verify existing reports. © 2019 TraQtion, Inc. All rights reserved.